By giving you control over your energy consumption, EnviroStart will, depending on the load level of the motor, save between 10% and 40% of yourelectricity costs without any loss of power or detriment to your motor or change of operation. (EnviroStart MEC’s are fixed speed control systems). 70% of all electricity generated. This high energy consumption has a high financial cost to you and a high cost to the planet in terms of depleted resources and global warming. 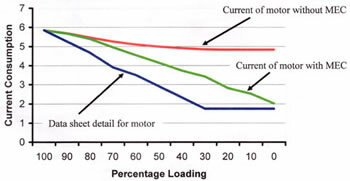 Induction motors have distinct inefficiences in that they cannot effectively adjust the amount of electricity they consume for the work they do; when they operate under less than full load, substantial power is wasted. EnviroStart corrects this inefficiency. The units, designed to be simply fitted to single or three phase motors, will give soft start, energy control, soft stop, improved reliability and increased productivity. 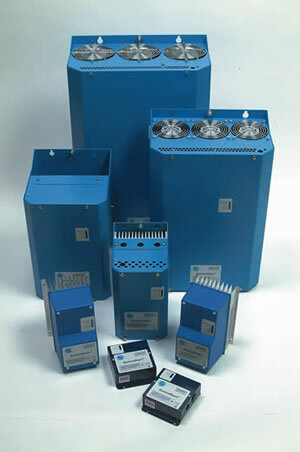 In addition, the systems have been developed with knowledge of the climatic problems associated with operations in a tropical or sub-tropical environment so offer rugged protection against high humidity and wide ranging temperatures. Motors can consume electricity at more than ten times their capital cost each year. By giving you control over your motor, EnviroStart can save between 15% and 40% of your electricity costs; without reducing speed, without any loss of power and without detriment to your motor or load. Both single and three phase Motor Energy Control units are available, ranging up to 800kW in three phase and 25A in single phase. 208V, 220V, 400V, 480V, 570V and 690V units are available in three phase and 110V and 220V in single phase. (50Hz and 60Hz catered for).